​Dreamtime Tuka is a leading supplier of bush food products, linking the nutritional value and cultural wealth of Indigenous foods to the national and international market. Dreamtime Tuka represents the very best that this exceptional country has to offer. Our products embody the rich cultural traditions that make Australia truly unique. 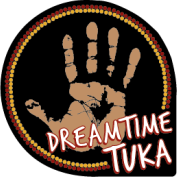 Dreamtime Tuka is focused on promoting the nutritional value of traditional bush tucker, in addition to the significant cultural wealth surrounding food in Indigenous tradition. Westpac Annual Report 2016 has featured the Dreamtime Tuka story. Herb Smith, Director of Dreamtime Tuka is featured on the front cover ​Westpac Annual Report. The Department of Prime Minister and Cabinet has released the Closing the Cap Prime Minister's Report 2017, Dreamtime Tuka is featured on page 76. Click here to view report.